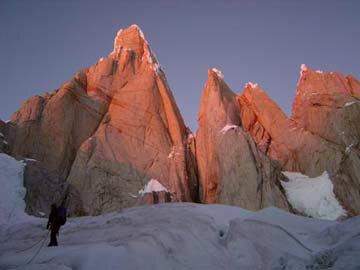 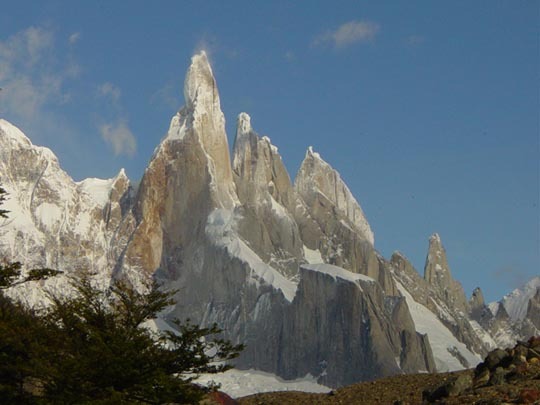 Cerro Torre from Campamento Bridwell, base-camp. 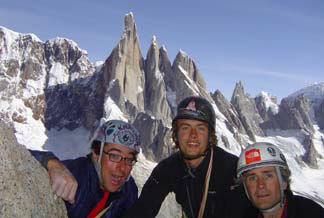 Approaching the base of Cerro Torre's East Face. 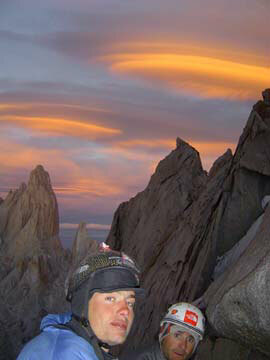 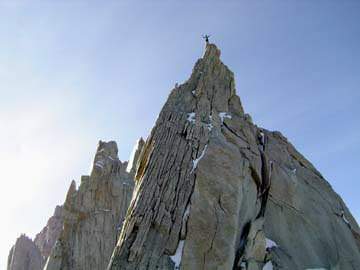 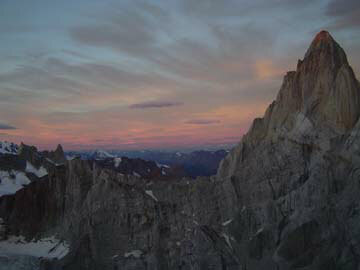 Cedar Wright on the first ascent of Cerro Pererya. 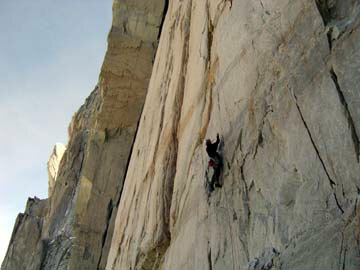 First ascent of "The Thaw's not Houlding Wright". 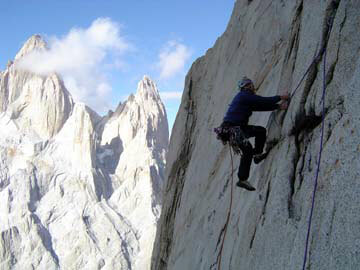 Aguja de L'S, West Face.